PUPILS from Bromsgrove first schools travelled to Redditch for a ‘Create a Picture Book’ workshop at Beoley First School. Year three and four pupils were shown the ropes by Beoley First School teacher, artist and illustrator Dan Genders, who primarily uses electrical tape to create detailed portraits. 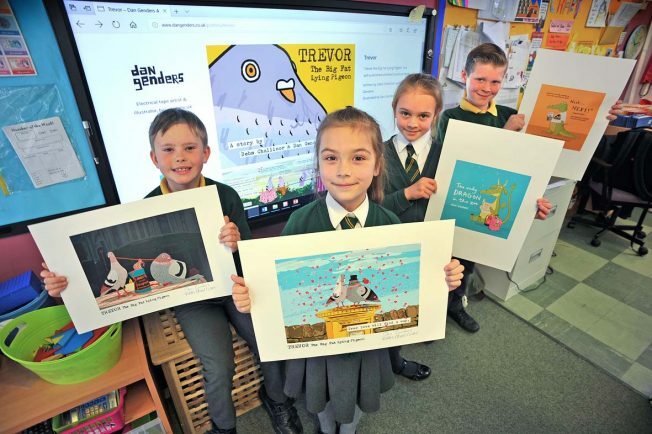 The children were given sketchbooks and guidance on creating a picture book and Dan showed them his second picture book ‘The Only Dragon in the Zoo’ which was longlisted for the 2018 Templar Illustration Prize. He said: “Art and creativity should take high priority in every child’s education. Dan is currently working on his first solo exhibition at Birmingham’s Electric Cinema to coincide with next month’s re-release of Monty Python’s Life of Brian.